CVS Caremark is proud to partner with the Cetaphil® brand for a second year to help give children living with chronic skin diseases the chance to attend the Children’s Skin Disease Foundation’s Camp Wonder, a medically-staffed summer program that gives children who suffer from serious and fatal skin diseases the opportunity to experience the joy of summer camp in a safe and nurturing environment. Earlier this year, Camp Wonder campers were asked to submit a piece of artwork for a chance to be featured on the 2014 Limited Edition Cetaphil® Moisturizing Cream label, sold exclusively at CVS/pharmacy locations nationwide and online throughout the month of August. A portion of the proceeds from each limited-edition jar sold will give kids with chronic skin diseases an opportunity to attend camp and will help fund camp activities. The All Kids Can blog spoke with Camp Wonder camper Amani Williams, whose artwork was selected to appear on the label of this year’s Limited-Edition Cetaphil Moisturizing Cream, to learn more about her experience at Camp Wonder, and the inspiration behind her winning design. All Kids Can blog: How old are you? And how many years have you attended Camp Wonder? Amani: I am 14 years old and I have gone to Camp Wonder for 7 years. AKCB: Wow, that’s a long time! How did you learn about Camp Wonder? Amani: My skin doctor told my mom about it. AKCB: What are your favorite activities at camp? Amani: Some of my favorite things are going to the pool, horseback riding and art. And I have a lot of fun at the campfire! AKCB: That all sounds really fun! Can you share one of your favorite Camp Wonder memories? Amani: My favorite memories include the carnival and the talent show. AKCB: What is it about Camp Wonder that makes it such a special place for you? Amani: My camp friends and the counselors are nice,and we have a lot of fun sleeping in the cabin! AKCB: That’s great. What are some important things you’ve learned during your time at Camp Wonder? Amani: No fighting, no going in the deep side of the pool without taking the swim test, and no hitting. Everybody has fun and nobody is mean. AKCB: Those are some important lessons. What advice would you give to a child who is going to Camp Wonder for the first time? Amani: Don’t be scared, everything will be okay. Camp Wonder will help you make friends, all the kids are really nice, and you will have so much fun. AKCB: Congratulations on creating the winning design for this year’s Limited-Edition Cetaphil Camp Wonder label! What was the inspiration for your drawing? 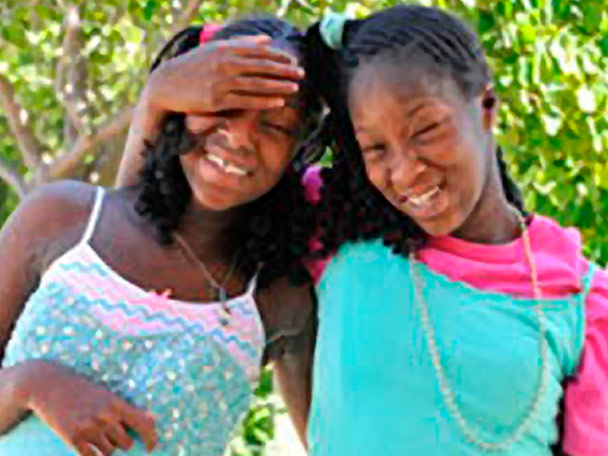 Amani: I want people to see me for who I am and know that I’m a nice girl and want friends, too. It doesn’t matter that my skin is different. AKCB: Thank you for sharing that, Amani, and we love your design. What are your favorite things to draw? Amani: Pictures of my family, rainbows, and houses. AKCB: And what would you like to be when you grow up? Amani: A cook, or a fireman! All Kids Can thanks Amani Williams for sharing her experience as a Camp Wonder camper and for being a true inspiration for children of all abilities. The Limited-Edition Cetaphil Moisturizing Cream label will be available throughout the month of August. For more information or to get involved with Camp Wonder, visit www.csdf.org and Facebook.com/Cetaphil.